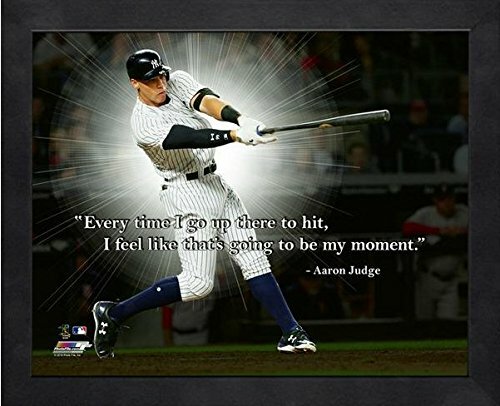 Exhibition Quality 11x14 Photograph with MLB ProQuote Overlay. Professionally Produced in State of the Art Photographic Lab. Fully Licensed MLB Collectible with Uniquely Numbered MLB Licensing Hologram Attached. Framed Open-Faced (No Glass or Plexi-Glass) in 1/2" Black Wood Moulding. Ready to Hang Finished Size: 12" x 15".